It's official: Channel 4 has inked a deal with YouTube, which will allow shows like Peep Show and Skins on to the site soon after broadcast. This deal can be seen nothing short of a landmark, as it marks the first time that YouTube will show long-form content regularly on the site – something it has been battling to do for some time. YouTube is by far the most popular video-sharing site on the internet. Since it was bought by Google, the bods behind the world's favourite search engine have looked for ways to make money on the site. This has meant that YouTube has quickly shed all (well most) of its non-authorised content and looked to sponsored content from the likes of Saturday Night Live and X-Factor. This type of content, however, hasn't been long-form (full episodes) until now. "Making our programmes directly accessible to YouTube's 20 million UK users will financially benefit both Channel 4 and our independent production partners and help bolster our investment in quality British content," explained Andy Duncan, Channel 4 Chief Executive to the Guardian. "It demonstrates our ability to strike dynamic commercial partnerships to help underpin our future as a commercially funded, not-for-profit multi-platform public service network." Channel 4 will not begin giving its shows to YouTube until 2010, and the deal is non-exclusive. This means that 4OD, its on-demand service, will remain. It also means that if the likes of Hulu UK and Project Canvas ever see the light of day, then Channel 4's content will be available. It won't just be current programmes that will be available on the site, but archive content as well. So expect to see the likes of Brass Eye to become available to view online too. 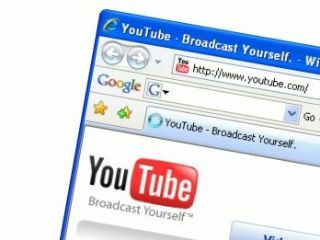 YouTube is well-equipped to host VoD content, as just last week it announced that the site hosts 1 billion video views a day on the site, despite Google chiefs not finding a way to turn the portal profitable as yet.